Subject: Antique print, titled: 'Hauteur.' - (Height). 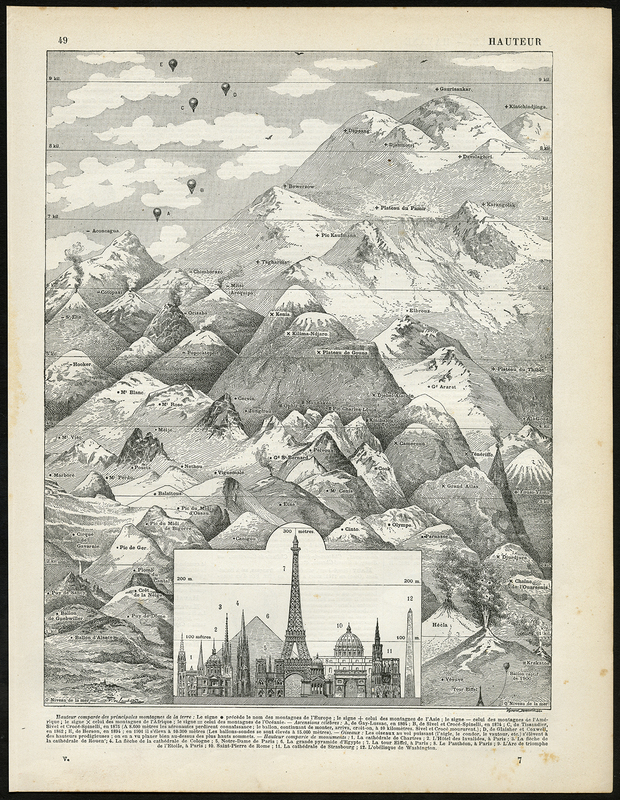 This plate shows heights, from buildings (Eiffel tower, the great pyramid, Obelisk in Washington) compared to the highest mountains of Europe, Africa and Asia.